Home BOLLYWOOD Hit Or Flop? Audience Reaction On Katrina Kaif- Aditya Roy Kapur’s Fitoor! Hit Or Flop? Audience Reaction On Katrina Kaif- Aditya Roy Kapur’s Fitoor! With back to back promotions and hard work, did Katrina and Aditya‘s Fitoor amazed the audiences? Did these two stars got the best for the audiences at the theatres? Well, the answers for all this is here below. 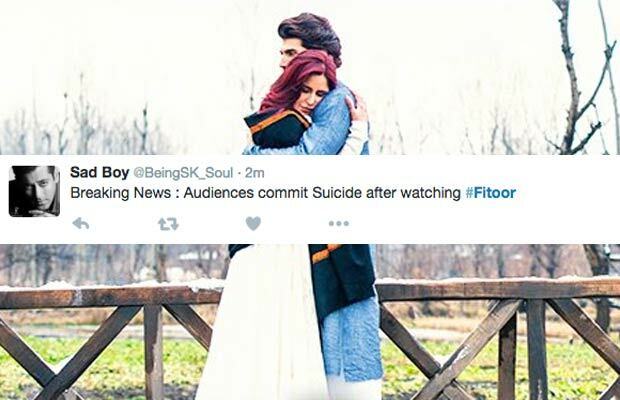 Fans who are the real critics, took to their twitter handle to express their views on film Fitoor. Previous articleHit Or Flop? Fans’ Review On Pulkit Samrat-Yami Gautam’s Sanam Re! Next articleWatch: B-Town Support Sonam Kapoor’s Neerja!